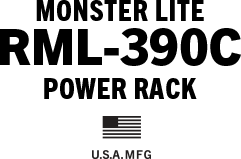 Rogue RML-390C Power Rack is rated 4.8 out of 5 by 10. 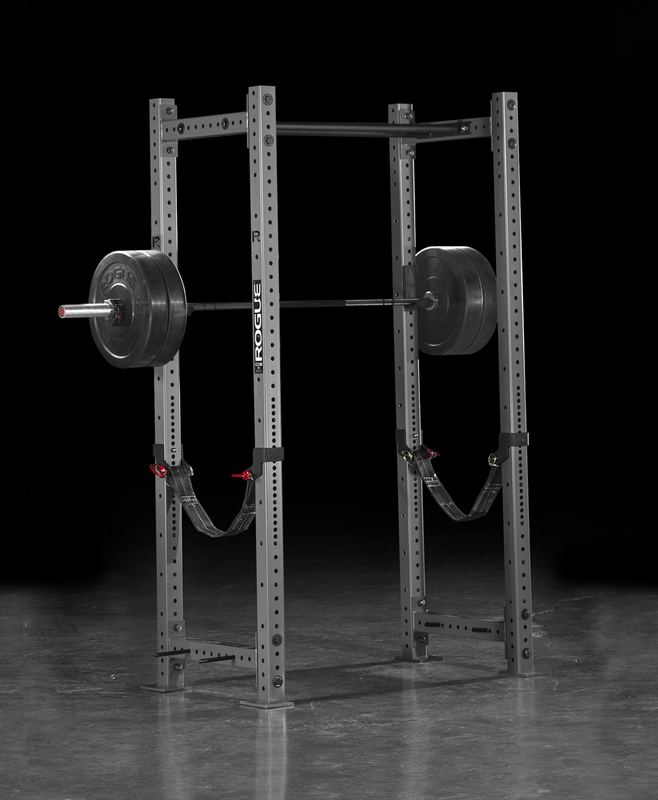 Rated 3 out of 5 by Erik the bloodaxe from Feels Solid This power Rack feels like it can handle anything you throw at it.... the paint job not so much. When I bought the bright blue I thought i was getting a paint job as solid as the powder coat they put on their black uprights. The colored paint scratches to easy. Just adjusting my pull up bar after install I have a few good down to metal scratches and I was going easy to not scratch it. Being this is in garage the exposed scratches will def rust fast but I guess in a few years of wear and tear I can break it down have it sanded and repainted if it gets on my nerves. Be badass if they linex these bad boys or just color powder coat. Rated 5 out of 5 by Amontano from Solid!!!!! 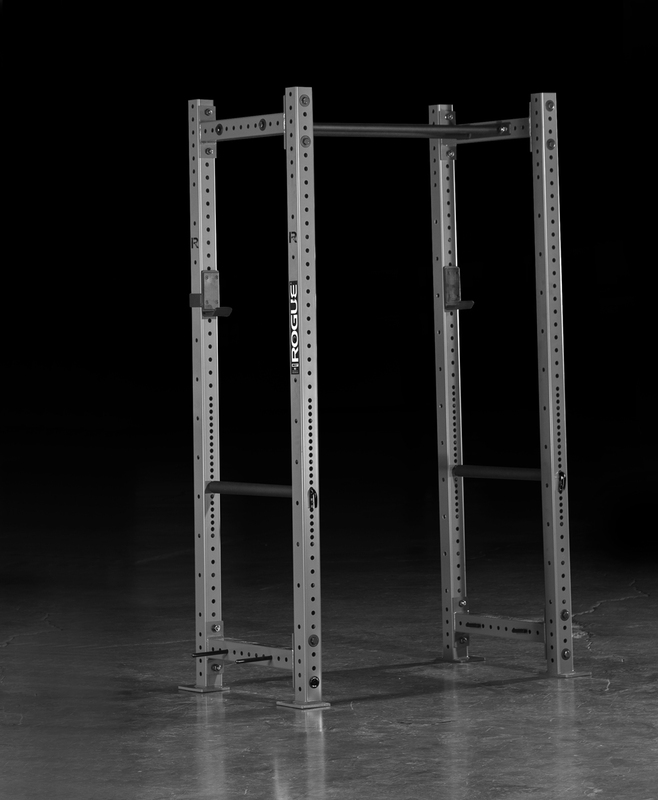 I just recently bought this rack. Super sturdy. Its bolted to the ground with one screw on each leg and its plenty strong. Quality is top notch. Paint is awesome. Size is perfect for my needs. Time to buy more attachments. My plan is to buy the multigrip pull up bar then attach the current bar to the back of the rack to make it even more sturdier. Rated 5 out of 5 by Jaxkhawk from Perfect setup First of all, rogue shipping is insane fast. I live in OH and I had it the next day. The rack is super solid even without it being anchored to the floor although I plan to anchor it when I find out right where I want it. I had to remove a couple tiles of drop ceiling for it stand upright in the basement but it was 100% worth it. The red looks amazing and with a cordless drill and a 15/16 socket I had it completely assembled in less than 30 minutes. Rated 5 out of 5 by AlexZom from Hulk Green RML 390... AMAZING! Thank you Rogue for this amazing product. I am so happy with it and how much it helps on our daily use of it. ever since we decided to build our own home gym this was the first thing we invested in and we love it! Thank you ! Rated 5 out of 5 by Kief from Built to last I purchased the RML-390C 30 inch cross members and swapped the pin safeties for the strap safeties. I also swapped the fat/skinny bar for the multi grip cross bar. The toughest part of setting this up was cutting the stall mats to anchor the uprights to my basement floor. I have 9 ft ceilings in my basement and the 96 inch height with multi grip works allows my 5'11 height to do full extension pull ups and kipping pull ups. I can also do standing presses if I am careful. I have my rack set up to do squats in the cage and have the spotter arms mounted outside the cage for bench presses. I recently purchased the Rogue utility bench 2.0 so I can have my adjustable bench reserved for dumbbell presses, leg extensions/curls, etc. 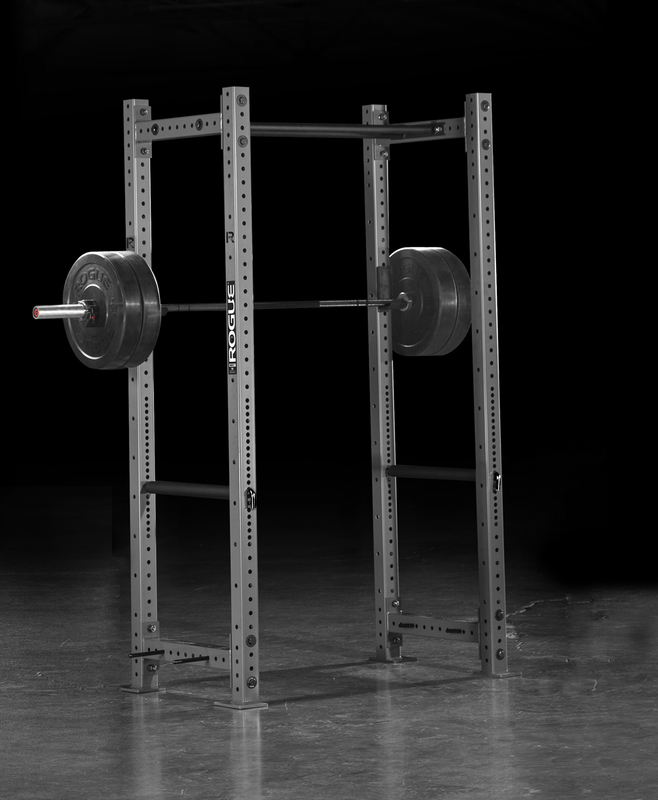 This rack is better than some of the equipment in local gyms and the west side hole spacing allows the perfect settings for bench press. I used two bolts per leg to anchor in concrete and this rack doesn't budge no matter what you lift. I will eventually purchase the spud lat pulley system and probably a matador however I already have a dip bar on my Ironman power tower. This is probably overkill for what I need in a basement gym but the price differential between the ML and the R3 was not that great. You really can't go wrong with any Rogue rack. 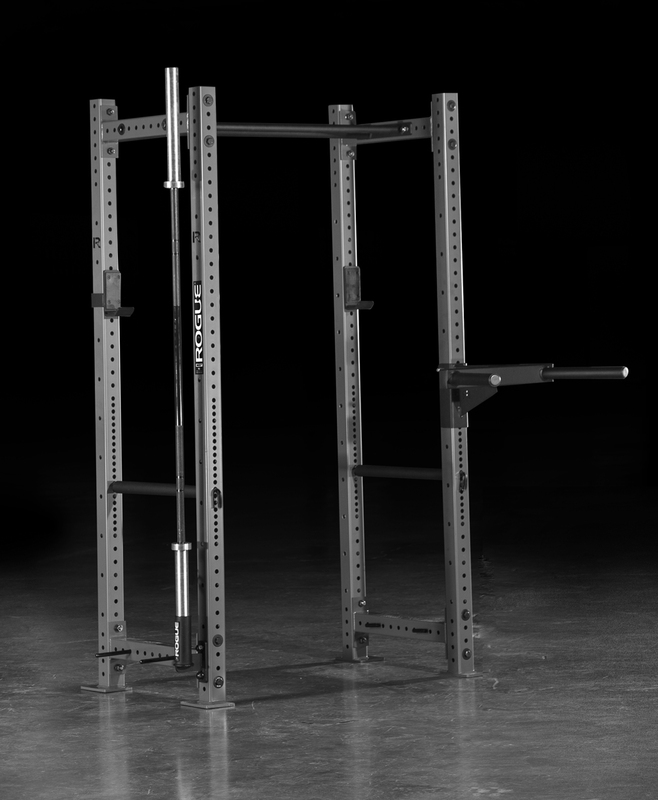 Rated 5 out of 5 by somrat689 from Beautiful Power Rack This rack is beautiful. I got the Rouge Red with 30" Dept. I have no complain about this rack. This is better than any rack I have used in a commercial gym.